JW Waterhouse was a highly skilled figurative artist who took his inspiration from English literature and classical mythology. Waterhouse would re-use his favourite models, much as Gustav Klimt would later do (Adele Bloch-Bauer). This British artist would draw on family and friends to pose for him, some going on to achieve their own notoriety in film and theatre. As his career developed and built momentum, he was able to use stunning professional models in his work, and this would help to continue his progress and popularity. Having earlier set about a classical style broadly along the same lines as Sir Lawrence Alma-Tadema and Frederic Leighton, Waterhouse would later drift towards a style more similar to the Pre-Raphaelites. Their peak had passed by this point, but many will still categorise his career within this movement. John William was always destined to become an artist. Both his parents were in this profession and their period living in continental Europe would have added further inspiration to this direction. The Waterhouse family were to relocate back to England and enter JW into traditional British schooling of that period. The budding artist would return to Italy as his career took off. By the 1870s he had completed his early schooling at the Royal Academy and was starting to settle upon a signature style. Waterhouse would initially practice his drawing skills by sketching various items found in the V&A Museum, British Museum and the National Gallery. He also studied sculpture too, before choosing oil painting as his preferred tool of creativity. That said, he was elected to the Royal Institute of Painters in Watercolour and served in this prestigious role from 1883 - 1889. Perhaps mirroring JMW Turner, who also excelled in oils and watercolours. Having arrived after the peak of the Pre-Raphaelite movement, Waterhouse's career would not reach quite the heights of the likes of Dante Gabriel Rossetti, John Everett Millais and William Holman Hunt. His own late arrival would lead to the label of "the modern Pre-Raphaelite". The Royal Academy, where he first learnt his trade, organised a retrospective of his career as recently as 2009. A key reason for this was the increased popularity of his work over recents decades. It is highlights such as The Lady of Shalott, Hylas and the Nymphs and Echo and Narcissus which have helped to draw attention back to the British Victorian artists of the 19th century, as well as specifically his own career. Waterhouse Prints are some of the best examples of British pre-raphaelite paintings and an ideal choice for your home or office. John William Waterhouse was one of many successful British artists from this art movement which is well known for depicting well known characters into their paintings. As well as offering Waterhouse prints from the links below there are also lists of other Waterhouse paintings and British painters that you may also like are would be wise to check out as well. Lady of Shalott is the most popular print by Waterhouse and depicts a lady travelling by boat across a small river in England. The print features great detail and a charming atmosphere which attracts many to this print, which you can buy from the links below. For many it is the painting that first introduces them to the career of John William Waterhouse, which can then lead to discovery of many others of his works. The Waterhouse prints gallery that you can visit by using any of the links in this website offer different options to match your budgets with simple posters at cheap prices plus more expensive framed art prints, giclee prints, tapestries and stretched canvases also ready to buy online from this excellent art retailer. The style of Waterhouse makes his paintings both traditional and contemporary at the same time, meaning many different types of people enjoy his work. It also means that his paintings are bought in all of these different art forms, depending on the buyer's needs. The great detail and use of colour in the Waterhouse prints makes it unsurprising that there are also many exceptional sketches from his career, mostly as study pieces for his main works that would take painstaking preparation to both set the suitable scene that he desired plus also to capture it as intended on canvas. Hylas and the Nymphs below is an art print by Waterhouse that is another example of how the artist used characters within his paintings to impress an incredible charm and atmostphere in each work. Hylas and the Nymphs features an arousing scene that many appreciate as depicting an emotionally charged situation and hosting a type of dreamy, fairytale feeling. Fans of the pre-raphaelite paintings of Waterhouse can enjoy around 30-40 great works from his career and they may also like those by other similar artists such as Dante Gabriel Rossetti, William Holman Hunt plus romanticist artists JMW Turner and John Constable. There are many great John William Waterhouse print to pick from, to suit all sorts of tastes. Please find a list of famous Waterhouse prints below, each of which are available to buy from the Waterhouse gallery that you can reach by clicking any of the links above. The Waterhouse gallery includes art prints, tapestries, stretched canvases and giclee prints of Waterhouse's original paintings. Disclaimer: www.John-William-Waterhouse.com is a personal website covering the career of famous British painter John William Waterhouse, but is in no way an official website for John William Waterhouse and www.John-William-Waterhouse.com does not claim to be that in any way. 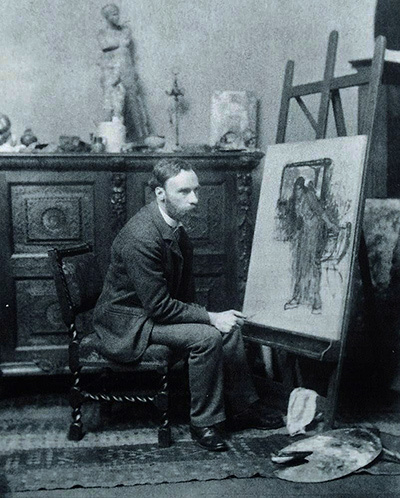 The Estate of John William Waterhouse and their presence hold all necessary copyrights and licences for all of his paintings and other works. All prints, paintings and photos included in www.John-William-Waterhouse.com are provided as an affiliate to Art.com who hold necessary permissions. Art.com pay us small commissions based on any prints or paintings that you buy as a result of using this website.